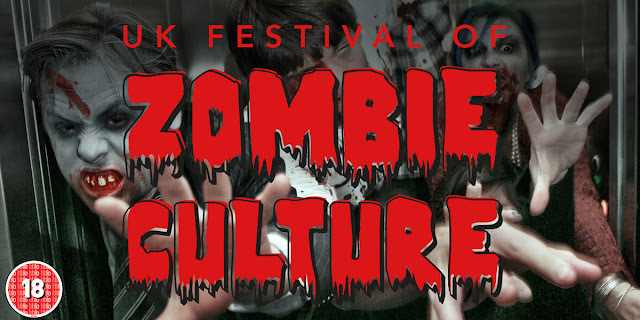 The 10th annual UK Festival of Zombie Culture is to take place as always at the Phoenix Arts Centre in Leicester this year. The event is to take place on 12th November and shall be the fifth one I have gone to, and weirdly the sixth one I have brought tickets for. (my accounts of previous years; year six, year seven, year eight, and year nine). Over twelve hours six different zombie films are shown on a cinema screen, meanwhile out in the lobby there are horror themed video games set up to play, stalls selling various horror related goods, and usually a couple of zombie authors selling their wares and signing books. Down the corridor in a side room will no doubt be the Dead Rising three minute zombie killing challenge that is always a lot of fun to take part in (last year my friend won prizes for having the most entertaining attempt at it). There will also be raffle tickets to be purchased that could win you some fantastic prizes, I have yet to win anything but I live in hope. 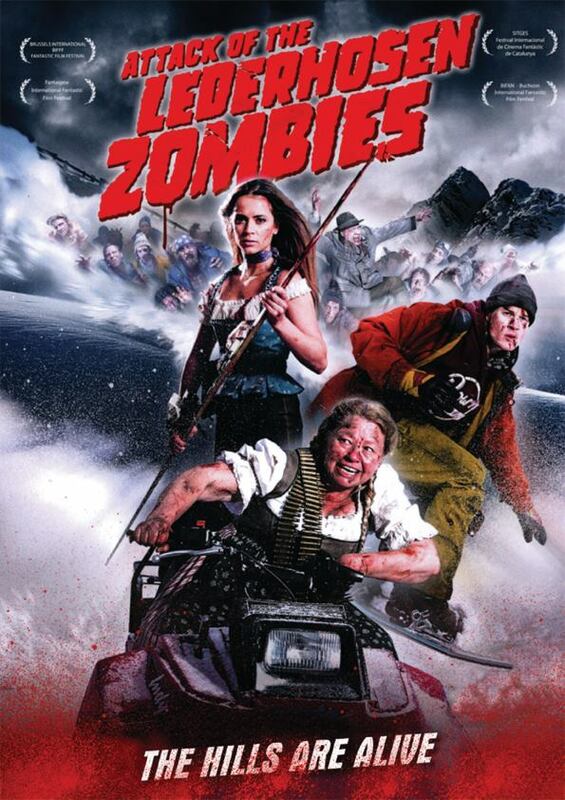 Attack of the Lederhosen Zombies which is about some drunk people trapped up in a ski-lodge and under assault by zombies and mutated wildlife. As the title suggests this is to fall into the comedy genre. It is always good to get a mix of serious and funny films to spice up the event. 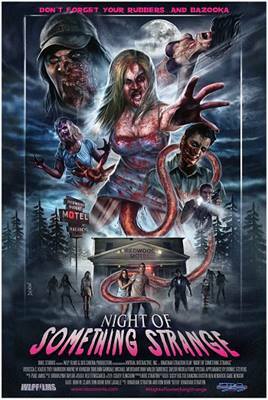 Night of Something Strange at first glance seems to be another comedy, yet the trailer made it look like it could verge more on the horror front. In this movie a deadly new STD turns its victims into the living dead. It is described as a horror comedy and I get the feeling it is going to feature lots of disgusting moments. The third announced film is the UK made Plan Z, this years festival will mark it's premiere. It is a serious horror that is set to ask the question 'why survive' when all literal hell has broken loose. It looks a bit indie but last years Darkest Day was the indiest of the indie and was very impressive so that fact doesn't bother me in the slightest, and it is always cool getting a British horror. 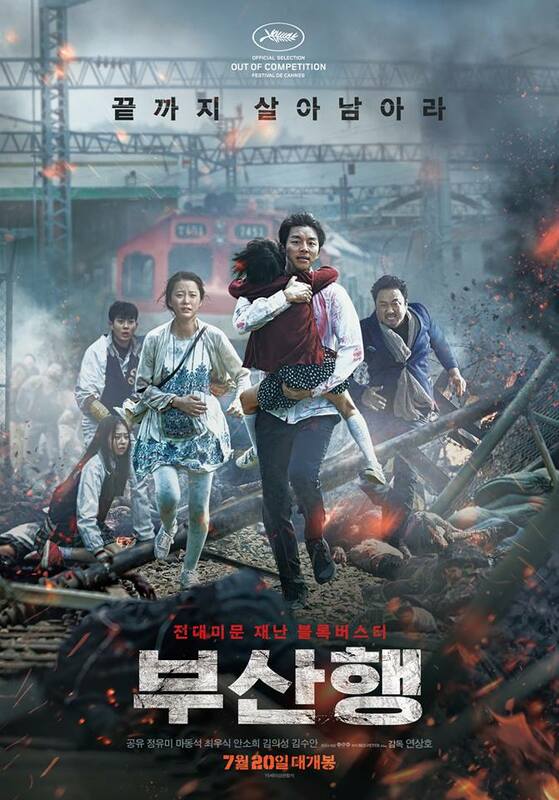 Fourth film is one that has come all the way from South Korea and is called Train to Busan. In this film it seems a zombie outbreak occurs on a high speed train, the zombies swarm together in a way that reminded me a lot of the way the undead move in World War Z. I always love getting a foreign spin on zombies so look forward to this one. 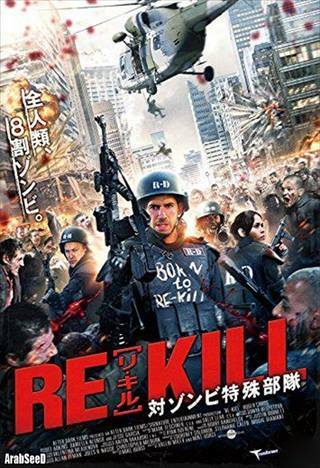 The final film to be announced so far is Re-Kill which is a post apocalyptic movie set in a world where 85% of the world's population have been killed and the war between the survivors and the Re-Ans (zombies) is never ending. This one looks to be very action packed with the story following a kind of S.W.A.T team in their battle to stop a second outbreak, it looks kind of awesome. Horror authors who are to be in attendance include Adam Millard (Larry) who shall be selling his newest book The Ultimate Zombie Quiz Book for the cheap price of £5 (will certainly be picking up a copy). Duncan P. Bradshaw (Class Three and Class Four: Those Who Survive) will also be there with a new book; CHUMP: A Collection of Zombie Stories. I loved his previous work so look forward to that! Day passes for the event cost £25 and can be purchased from here. It is always a great time with many attendees dressed up as the undead. The host Zombie Ed is tireless in his enthusiasm and should be commended for repeatedly putting on such a great event. His introductions to the films are a constant highlight and pretty darn hilarious, so be sure to say hello to him should you go.